To provide quality products through excellent services in order to improve the quality of life for Myanmar people. To be the best FMCG distribution company in Myanmar by 2018. We will act and react as a first line marketing frontier to ensure the best sales and distribution services to our business partner satisfaction with our professional ,reliable and realistic market approach as well as efficient and effective sales team in marketing and distributing throughout Myanmar. We are also aiming to produce long term sustainable business development without scarify short term profit for share holder and yet to prove its as a good working place for our employees. We not make, offer,promise to make or authorise an improper payment ( Cash or anything of value ) to any person ( whether in the public or private sector ). Our approach is built on respect , being consistent and having the courage to do the right thing. We treat everyone with respect and dignity ( no harassment ). We are one Team. We are MK. MK Distribution has been registered and start the operation on 01 November 2012. MK Company Limited was established in 1990 and MK is the one of the successful companies in Myanmar with core businesses of retailing, manufacturing, distribution and services. Myanmar S.E.A marketing Company Limited was established in 2004 and MMSEA is one of the successful distribution companies in Myanmar. Thai President Food PLC. the leader in instant noodle in Thailand agreed to appoint MMSEA to be their sole distributor of MaMa instant noodles in Myanmar market on 06 May 2004 and start their first operation of sales MaMa instant noodles on 01 July 2004. Consist of 5 Myanmar representing MK trading and MMSEA to set up MK Distribution company policy and control procedures in Myanmar. The New MANAGEMENT team appointed by New BOD is organized full experienced staff in consumer goods product. We run business with the decentralized management to empower all levels to achieve their own objectives by their own commitment as assigned by company. After merging MK and MMSEA, Now more than 350 employees have joined MK Distribution company which link every corner of the retail shop in Myanmar at our finger tip. 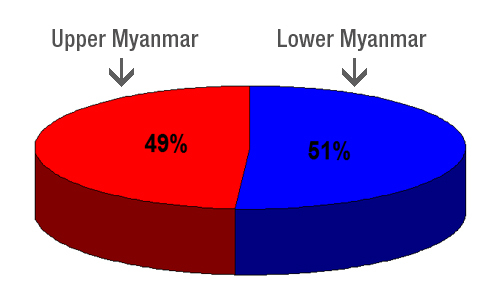 Our customers are mainly the retailer and wholesaler in Myanmar which contribution > 90 % of current client portfolio. Modern trade is emerging in the country which we cover all 100 % of MT channel. In 2013 - 2015 to enhance our coverage to more extensive channel which produce higher consumption and demand i.e. 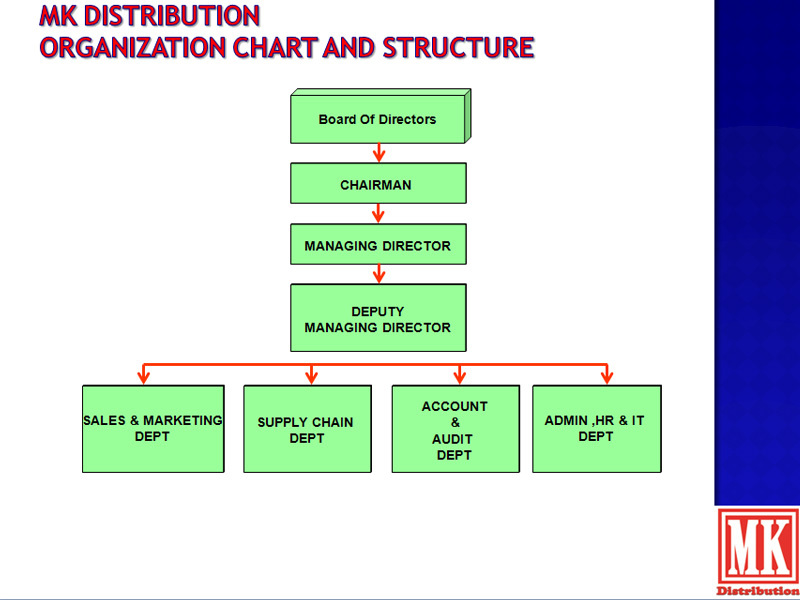 Food supply chain, Factory, School ,Restaurant and Hotel etc. To bring out the inner potential of Sales force to enhance Sales and Distribution coverage in all channel of distribution to ensuring the highest product availability at anywhere anytime consumer need. MK Distribution has management with it owns fleet of 137 trucks 64 points at partner areas.